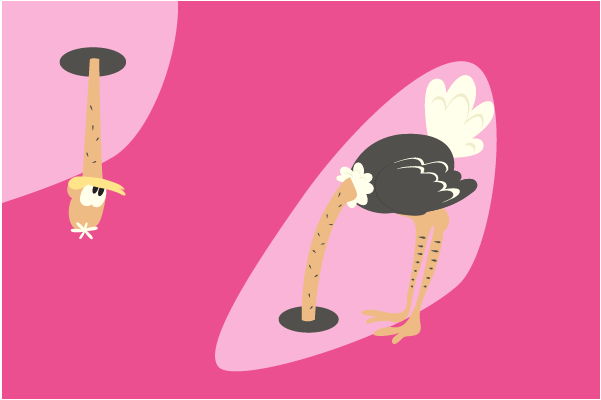 The customer of tomorrow – don’t keep your head in the sand! My sons (6 and 8 years old at the time) watched a programme called Miles from TomorrowLand which I caught a glimpse of the other day – a bizarre story of a boy and his family with his amazing robot ostrich friend (yes, what next!) that lives in space. This robot can be uploaded with anything under the sun whether it is a flight programme or a light shining out of his mouth….NOTHING is impossible. And that brings me to a universe that I was vaguely aware of….a place where nothing is impossible….a place where there are no limits, no time frame….where ‘no’ is a word not uttered. In this new discovered universe of mine, there are technology and apps for everything under the sun. When you get off the plane you just say the word and Uber will pick you up in minutes and you don’t need to have cash on you. When you are looking for a place to stay you can just contact Airbnb and ‘whalla’. If you need to do international research on anything thinkable you can use cyber PA’s to do so and receive feedback and reports a few hours later. Need a logo fast? Just pitch it online and get the best designers to work on your designs all over the world. You can even get a voice over artist to quickly do a radio advert for you in America and send it back to South Africa in 24 hours. You can share typed or handwritten notes with colleagues on a cloud (somewhere out there). The sky is really the limit and nothing is impossible. This is all great and I love it, but it got me thinking about this whole instant gratification concept. Although I’m probably only scratching the surface of this new parallel universe, our kids are growing up in it. This is their reality and everything they touch will only become faster and better with time. This fast paced generation is the customer of the future! Have a look at the following marshmallow experiment. When I watched this I realized that delayed gratification is probably going to become a skill that needs to be taught to our kids. We must however acknowledge the fact that our kids will in future learn, act and transact differently. The customers of tomorrow will be driven by instant gratification. Immense high standards in terms of time and quality is a given and what we see as added value will become the norm and expectation. To wow them will not be easy, but if we understand their world better, we can adapt. We use tools and technology to make life easier and experiences more instant, but we are all human and still have basic human needs and desires. This will never change. Companies that use technology without factoring human needs and emotions into their designs may be heading in the wrong direction. Companies who give the customers of tomorrow what they ask for in a way that they expect (which is fast, easy, reliable and ethical), may survive the next couple of years. Those who give customers what they never dreamt possible will be the ones to look out for. The following video explains this better than I ever can. I am amazed at the pace of everything….I love the options that I have….I choose to still keep one foot in the universe I know and that I am comfortable with, but I will continue to explore this new world I call the parallel universe. I challenge you to do the same. 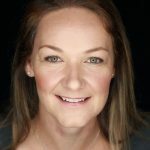 It is not advisable for businesses to keep their heads in the sand like Mile’s (robot) ostrich – realise that the future is really not miles from tomorrow! As a Human Centred Designer it makes me extremely happy to assist employees to ignite their purpose and passion leading to amazing customer experiences for their customers. My next feel good project is called the Brand Warrior programme - an employee engagement programme rolled out to 220 people in Cape Town, South Africa.